When will plants break bud, when will the first open flower appear? 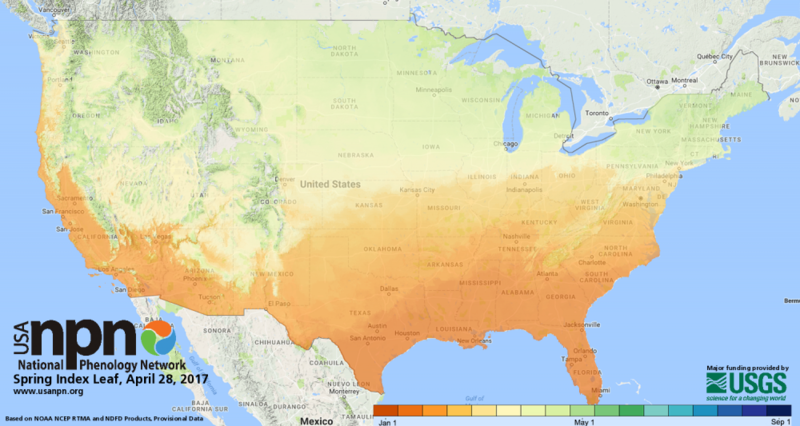 Using mathematical models called the spring indices and near real-time weather reports, we are able to map the spread of spring across the nation nearly as it happens. We are calling this springcasting! We use historical information about when lilacs have leafed-out and bloomed in the past and what the climate was like preceding these events. We then use this information to develop models that can tell us, based on local weather forecasts, when lilacs are likely to leaf out and bloom in a particular year. Read more about these models, which are part of the Extended Spring Indices. What can you expect this spring? In 2018, we will send two emails to observers with a registered cloned (Syringa x chinensis 'Red Rothomagensis') or common lilac (Syringa vulgaris) - one alerting them that their lilac should be leafing out in the next three days, and one alerting them that their lilac should bloom. 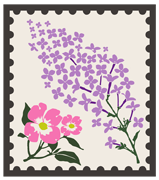 Observers are asked to check their lilacs to see if the prediction was correct as soon after these emails as possible and report their observations in Nature's Notebook. Reports of leaf-out and flowering are much more valuable when observers also report the preceding date that they didn't see those events. That means that someone looking at the data will know that there was only a short period of time in between the last "no" observation and the first "yes" - to better pinpoint the onset! Observers are asked to report on their lilacs weekly throughout the spring to ensure that they captured the final "no" observation before the first "yes". Springcast predictions and the underlying models have value to agriculture, human health, wildland management, and more. Knowing when plants will undergo phenological changes can dramatically improve resource management and decision-making. The models that predict the start of spring are being used by scientists to track how plants and animals are responding to climate change. This information is very valuable for preserving our natural resources, heritage, and way of life.